I'm in love with this fun, new design! 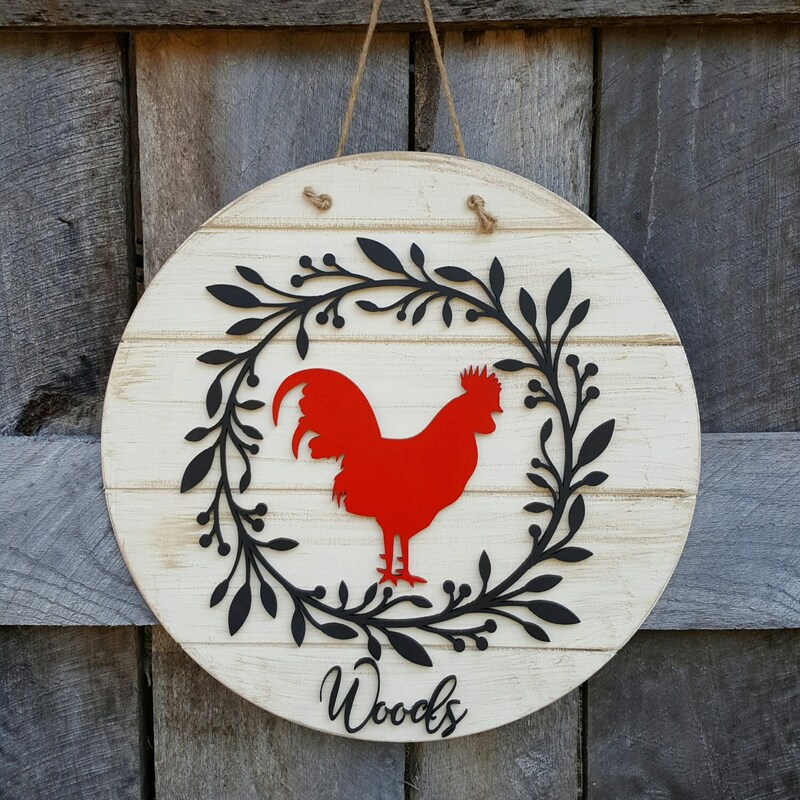 The farmhouse-feel of the distressed slat circle background, the red of the rooster, the sweet frame of the laurel wreath and the wooden script word combine to make this one so special! 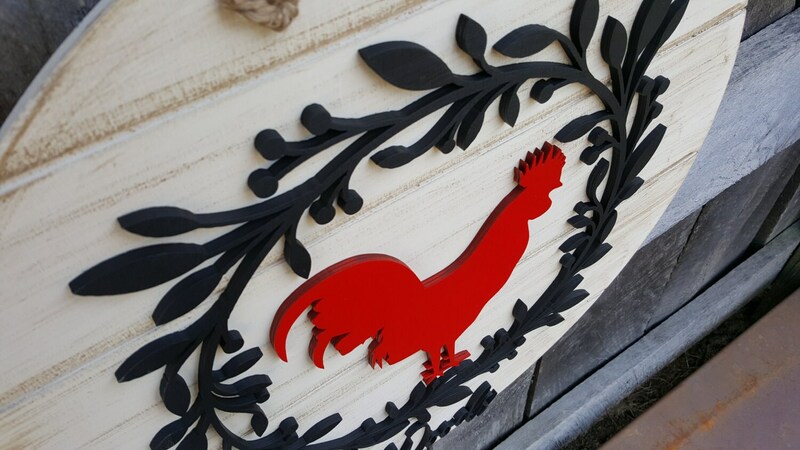 Please be sure to include the personalization info for the piece in your notes at checkout. Love, love, love it!!! Got it customized and cannot wait to surprise my mom! Very happy with purchase. Looks exactly as pictured. Maybe even better!